I started it almost a year ago and slowly worked on it between other projects. It felt so good to fold it up, throw it in the trunk and take it to the park today. 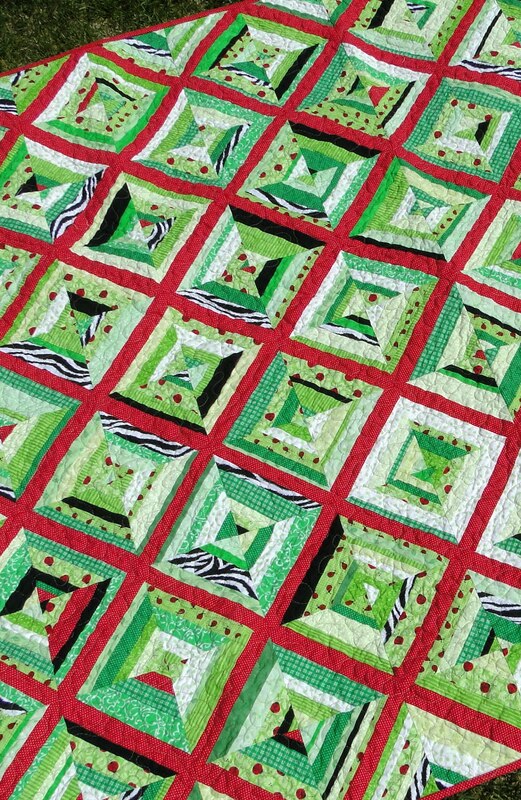 There really is nothing better than using a handmade quilt for the first time. The back is mostly the green fabric with the little ladybugs – but I did add some pieced squares to use up what few strips I had left. Now that we’re (maybe) finally getting some picnic-worthy weather, I’ll be able to use this even more! To learn more about string blocks, check out this tutorial from Film in the Fridge - I used the same technique! You can see photos of the process of this quilt here. Love the quilt, Andy. Green and reds are my favorites. The new blog design looks great too. What a fabulous quilt! I hope you get to picnic soon! 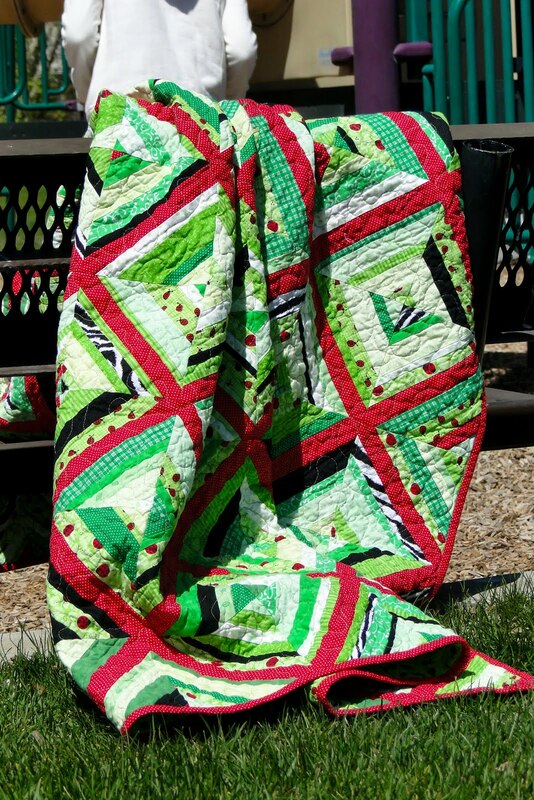 Love this string quilt! And the back is so cool too! That's a great string quilt! And I love the back... have fun picnicking!!! This is the perfect picnic quilt! Wow! Love the blocks and lettering on the back too! 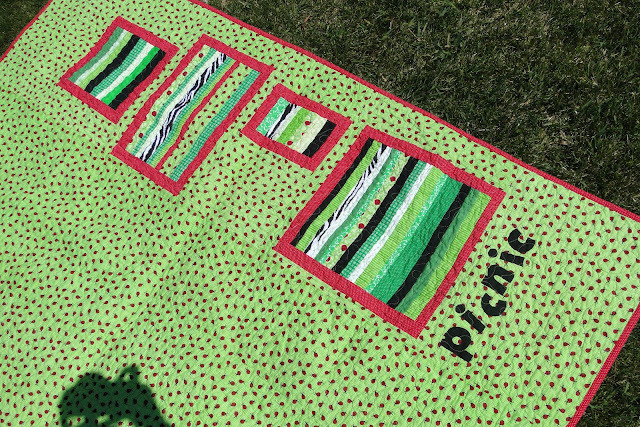 I love your picnic quilt! Such fun colors. The shadow puppet on the back is pretty awesome too! this is just stunning. i love it!!! This is awesome. And... oh my gosh! The ladybugs are completely darling! Nice use of red and green!